So you have a plastic part and you need to know what it is made of but you have no idea what plastic it is. This can be a challenging task. 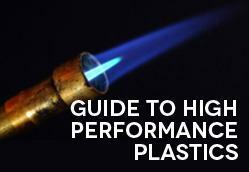 Many plastics look and feel alike but we will take a closer look here at some of the ways using a burn test. Please note, this test should be done in an industrial setting and not at home since proper safety protocol must be observed. Burning plastics can give off toxic fumes and plastic drips are very hot. 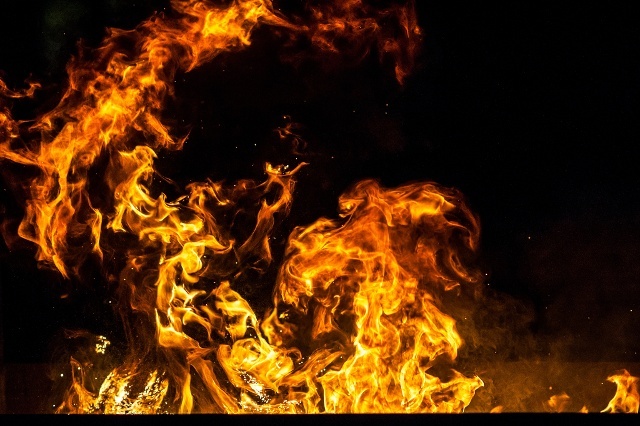 Flame-retardants can mask the normal flame and smoke characteristics of a material although stock shapes usually do not include these additives unless. Not all these characteristics can be used to examine every plastic. We will discuss those that do apply. The first thing to do is determine if the material is a thermoplastic or a thermoset. Remember it is important to work in a well ventilated area. * Heat a metal or glass rod, for example a stirring rod to 500°F/260°C. Press it against the sample. If it is a thermoplastic it will melt, but if it is a thermoset it will not. Here are some common thermoplastics and the ways that you may be able to identify them. ABS has an acrid smell when a heat source is applied. The flame is yellow with blue edges and will not drip. ABS will continue to burn when the flame source is removed and the odor continues to be acrid, the flame color is the same yellow with blue edges and the material will drip. The rate of burning is slow and black smoke with soot is admitted into the air. Nylon 6/6 is an off-white plastic material. It is fairly hard and cannot be marred with a fingernail. When burned it gives off the odor of burnt wool or hair. The flame is blue with a yellowish tip. Additionally, the material drips when flame is applied. It will continue to burn slowly after the flame source is removed. Polycarbonate gives off a faint, sweet aromatic ester smell. The flame is orange in color and PC will drip when a flame is applied. The smoke is black and gives off soot into the air. Polypropylene smells acrid when a flame is applied and the flame is yellow in color. It will continue to burn after the flame source is removed giving off a sweet smell. The flame at this point is blue with a yellow tip. PP produces drips as it continues to burn slowly. When bent, polypropylene sheet will turn white on the crease line. Interestingly, PP floats in water. PTFEis a fluorocarbon. It is very white and has a waxy feel. It is also fairly soft. You can mar it with your thumb nail. A piece of PTFE with no flame applied gives off the faint smell of burned hair. When a flame is applied, the material does not drip. PTFE has one of the lowest coefficients of friction of all the thermoplastics. When rubbed against a surface, it will slide easily but will not wear well. Polyesters, when burned, smell of hydrochloric acid and the flame is yellow in color. There are no drips. Polyesters are flame retardant. When the flame source is removed the material will continue to burn. The smell is nondescript but the flame is a yellow color with blue edges. Again. there are no drips and the material burns slowly. Polyesters will crack and break when flame is applied. Phenolics smell like formaldehyde and phenol with no flame applied. When a flame source is present the materials will smell of phenols and wood or paper. The flame color is yellow and the material will not drip. The heat source may make phenolics crack. There are many more plastics then we have space to cover here, so if you are still not confident that you know what type of plastic you have, contact us and we will help you out. Interested in learning more about plastic material properties? Download our free guide! My apologies for the lateness of this response. We’ve had website issues. If you know the type of plastic, you can look at a Material Safety Data Sheet for potential toxicity info. The test simply involves exposing the plastic to a flame until it smokes – then identifying the smell. Its a simple test – if you know what smell relates to what material. We’ve done our best to identify the odor of various plastics in the article you read, but its certainly easier for someone who has familiarity with the various smells of different materials.